A few days ago, I grabbed a can of Jdubs Brewing's Up Top! 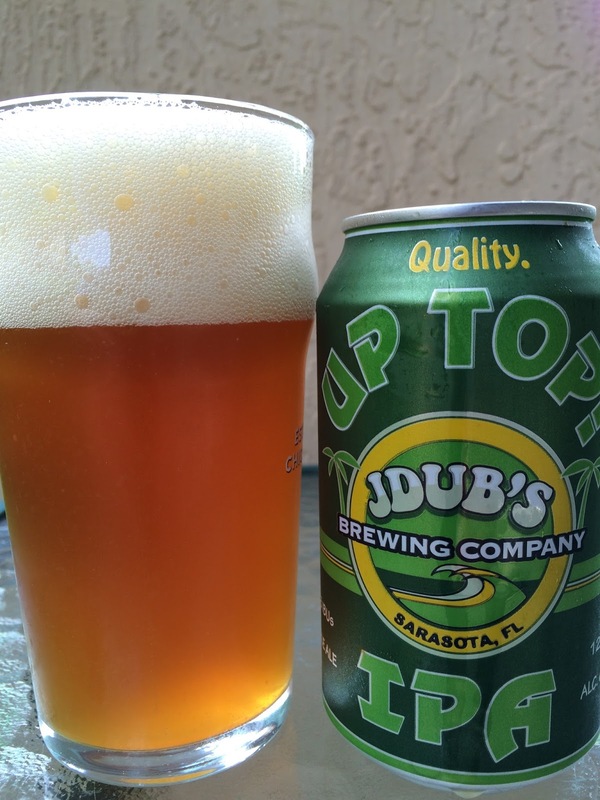 IPA to check out. The can is green - makes you think of hops! Mmm. Hops! 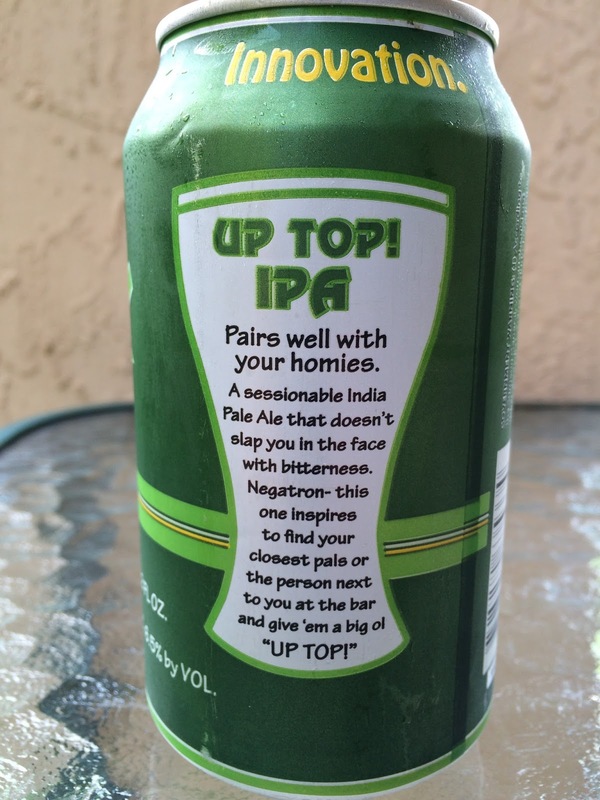 According to the can, this "pairs well with your homies, [inspiring you to] give 'em a big ol "UP TOP!" 6.5% alcohol. 55 IBU. Not overly strong aroma, but nice with orange and grapefruit citrus and a hint of pine. Grapefruit citrus flavors dominate the beginning and have the bitterness to match it. Floral and grassy as well. Supposedly, this is "a sessionable IPA that doesn't slap you in the face with bitterness." Now, while technically that may be correct since this was never a hop bomb to start with, the bitterness does just build and build with no malty answer. While maybe there is a hint of background fruity sweet balance, it just never makes it. The finish after drinking half the can is astringent and gives that cotton-mouth sensation in your mouth. Just not that inviting. Dry finish. Not terrible but zillions of other IPA options I'd say. I liked their Poolside Kolsch WAY better!